Epipremnum Aureum (also mentioned as Pothos) is perhaps the most popular ornamental houseplant in South East Asia where it grows natively as tropical climber and creeper. As an easy to grow houseplant, Epipremnum makes an excellent foliage plant for containers in warm climates. It grows best against trellis, moss stick or any type of support as an evergreen climber or in hanging baskets. Epipremnum is widely grown in homes, offices and shopping areas for its ability to reduce the effect of pollutants in the atmosphere. Leaves of Epipremnum are green with white or yellow variegation. Epipremnum is quite hardy and easy to grow. It requires partial sunlight in outdoor locations or bright light in indoor spots. Epipremnum should be provided with moderate amount of water and general purpose liquid fertilizer in spring. 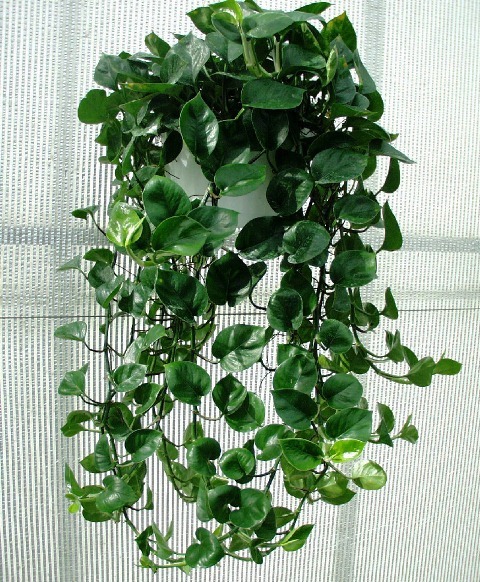 Epipremnum can also be grown hydroponically (in mineral based water solutions; without soil). 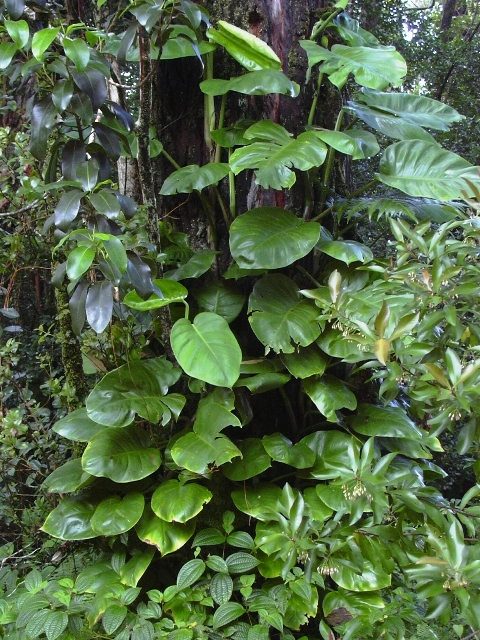 Popular species of Epipremnum are: Epipremnum Pinnatum, Epipremnum Aureus, Epipremnum Mirabile and Epipremnum Aureum ‘Golden Ceylon Creeper’ also known as Pothos, Silver Vine, Devil’s Ivy or Solomon Island’s Ivy.